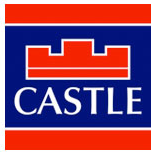 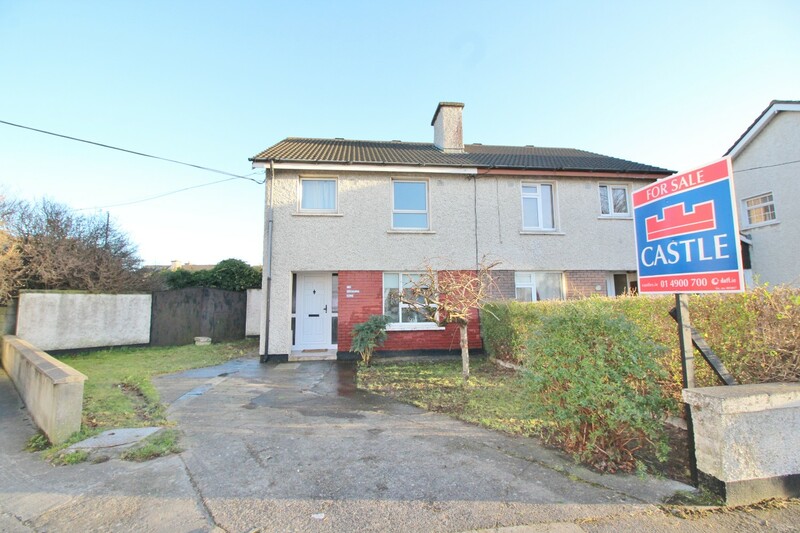 Castle Estate Agents are delighted to present 16 Garrynisk Road to the market for sale. 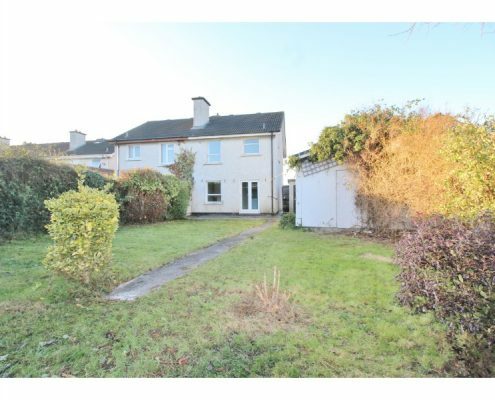 This very spacious three bedroom semi-detached family home sits on a very large corner plot and offers huge potential to discerning buyers to extend to the side and/or rear subject to the usual permissions. 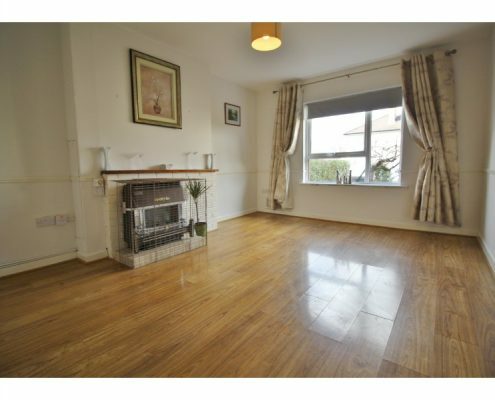 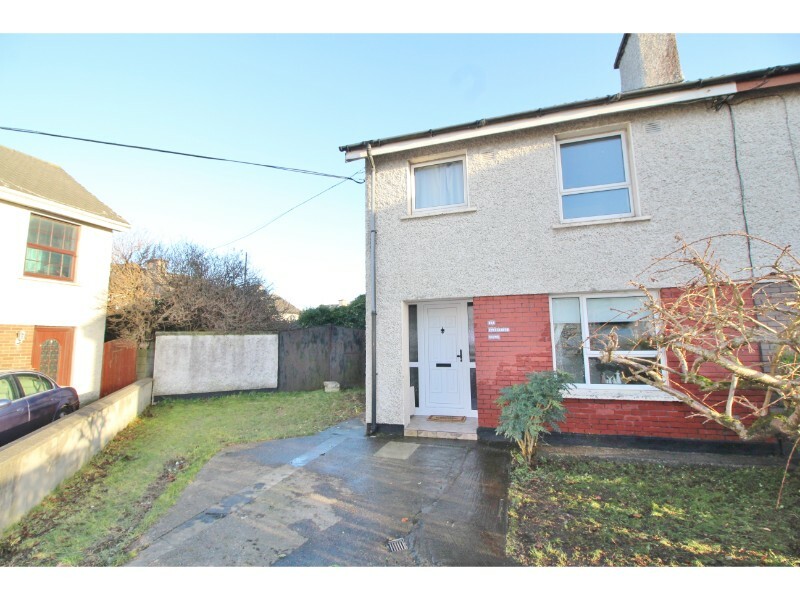 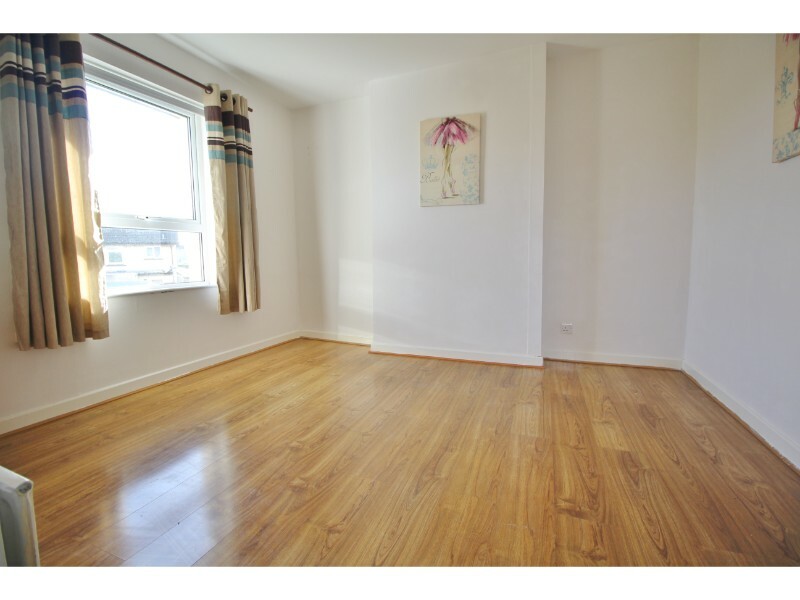 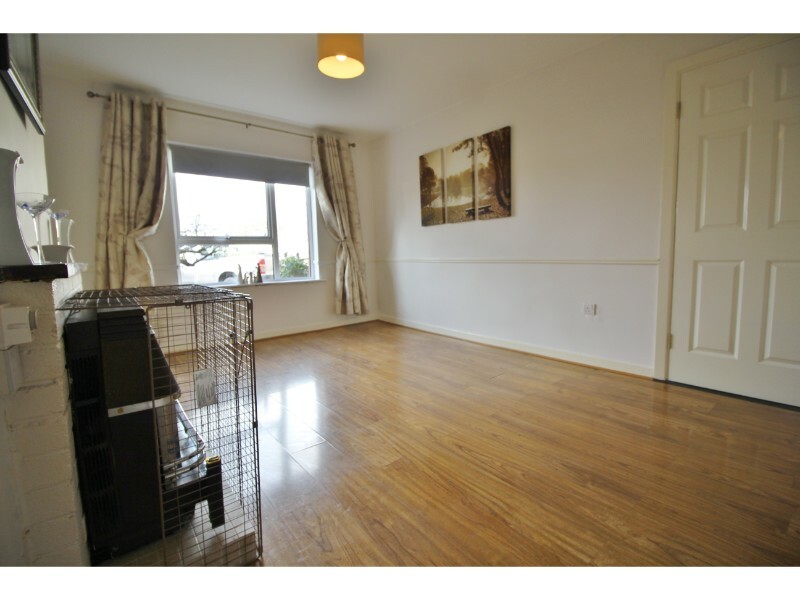 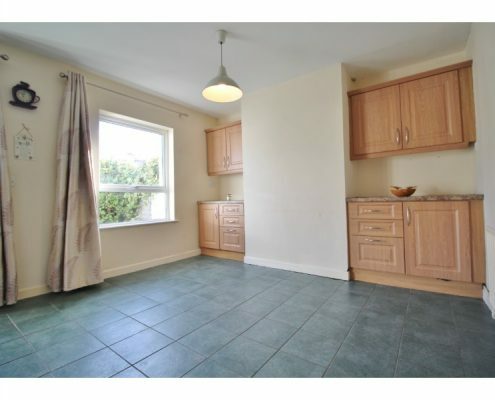 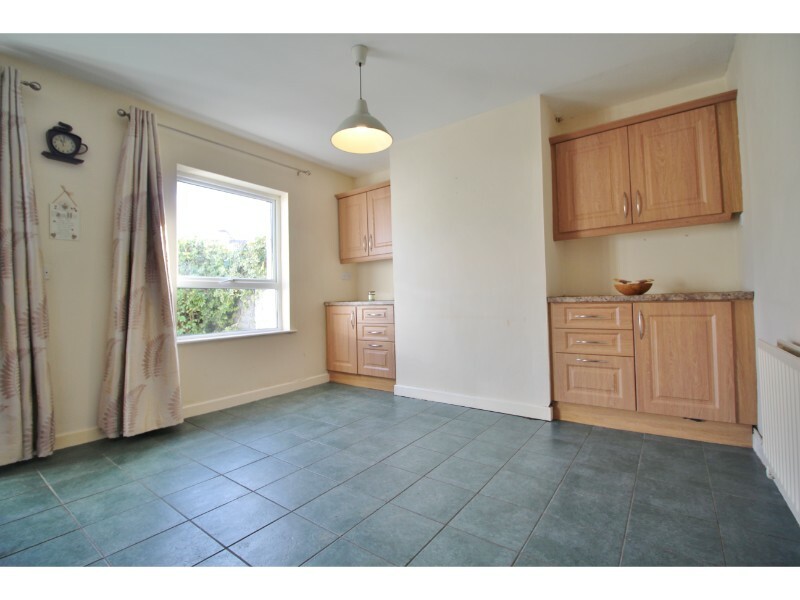 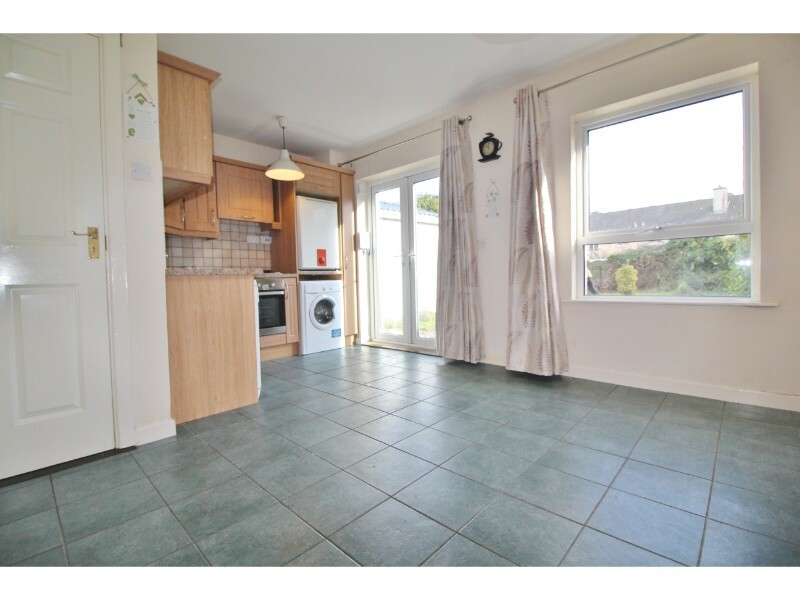 This deceptively spacious property is ideally located on a quiet cul-de-sac close to all local amenities (LUAS, shops, schools, parks and bus and road routes) with The Square Shopping Centre, Tallaght Hospital and M50 just a very short drive away. 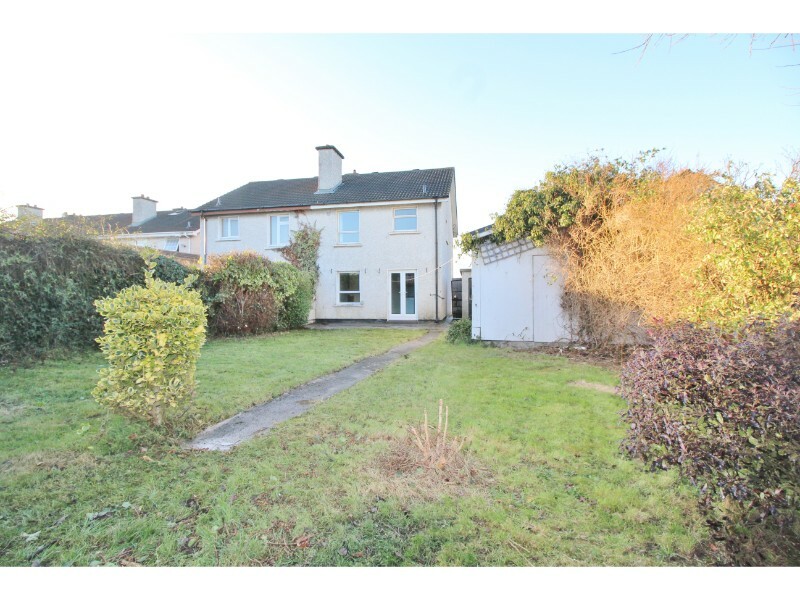 Presented in excellent order throughout this lovely home briefly comprises of a large sitting room with feature fireplace, kitchen/diner opening onto the south-facing rear garden, three double bedrooms and bathroom. 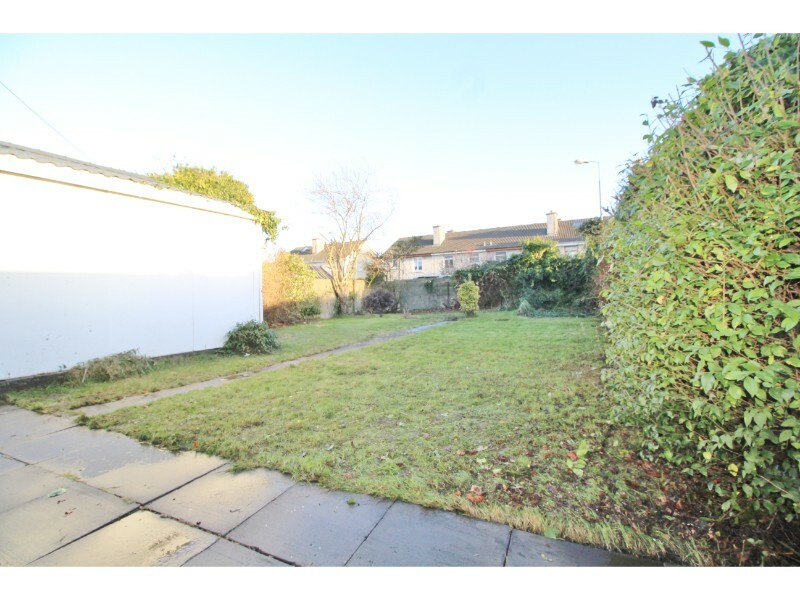 To the rear is a large (80ft approx) south-facing garden with large, double shed and to the front is a smaller front garden with off-street driveway parking. 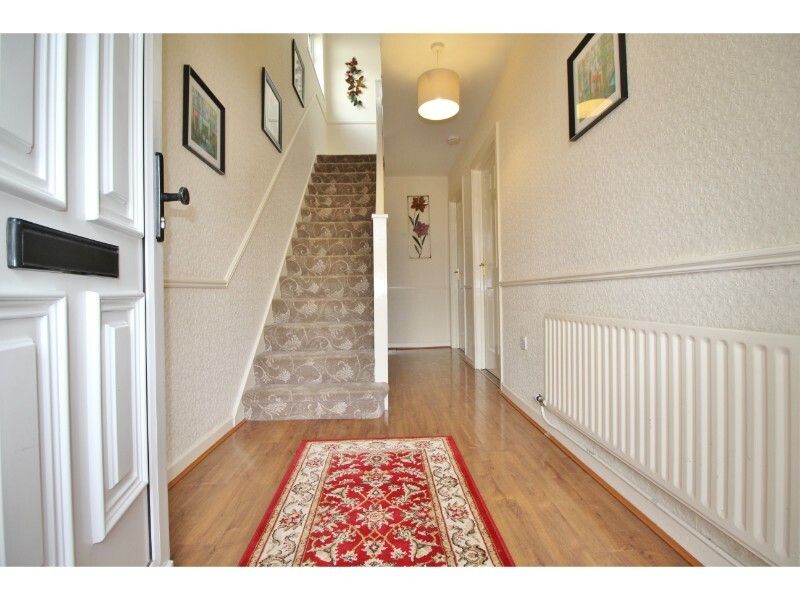 Many additional benefits include full double glazing throughout, gas-fired central heating and fitted wardrobes. 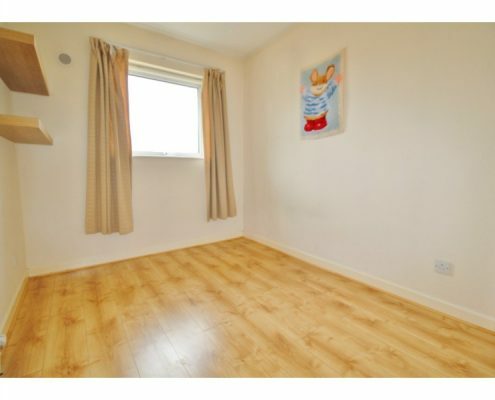 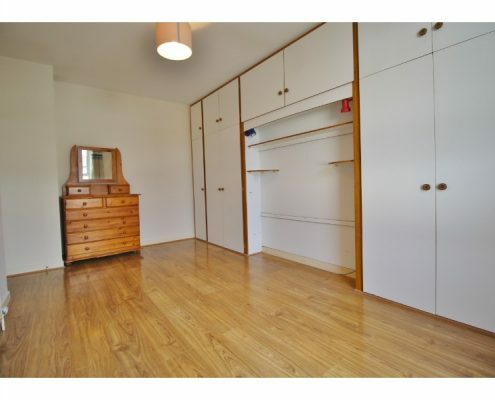 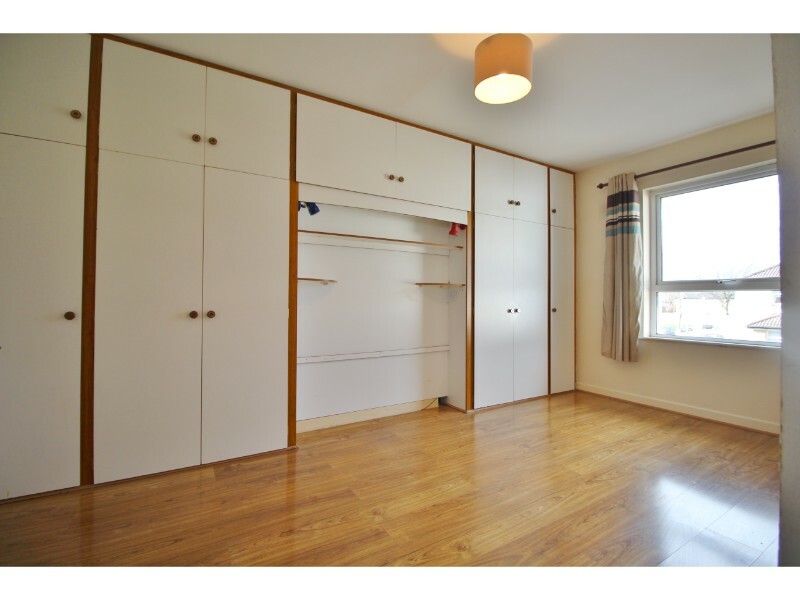 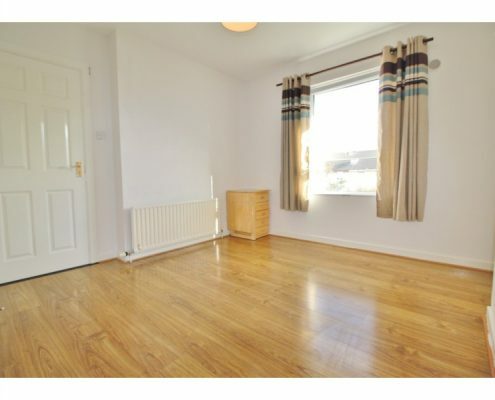 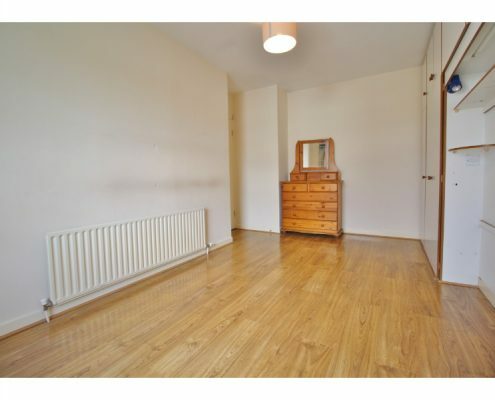 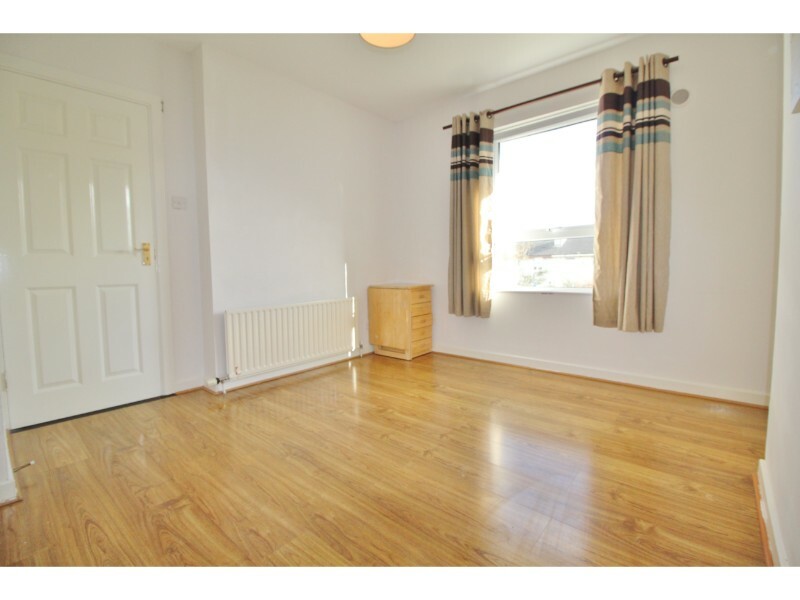 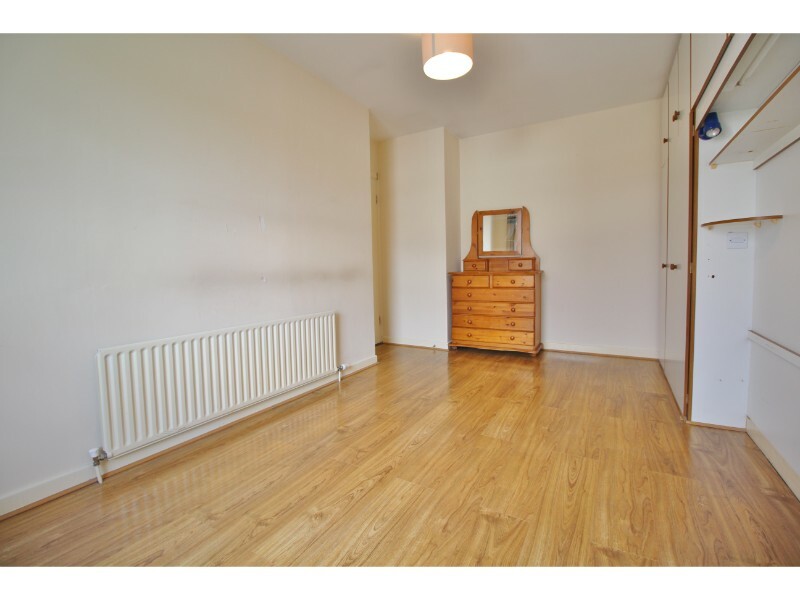 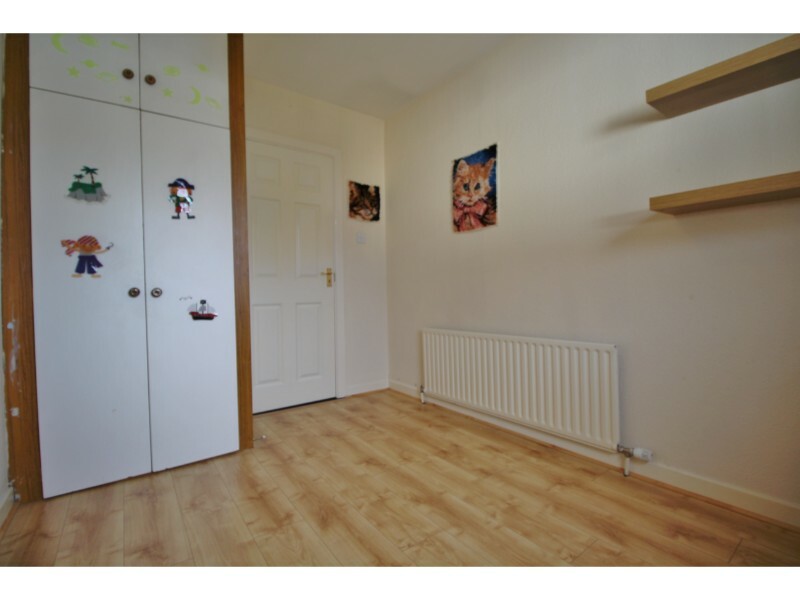 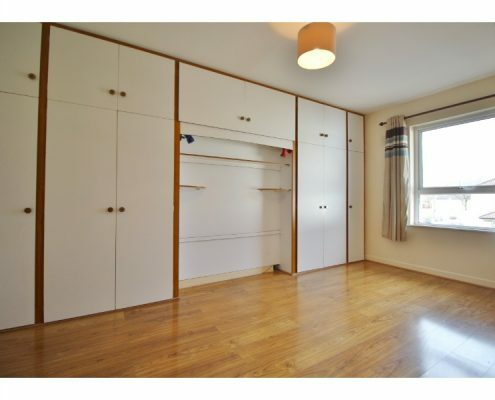 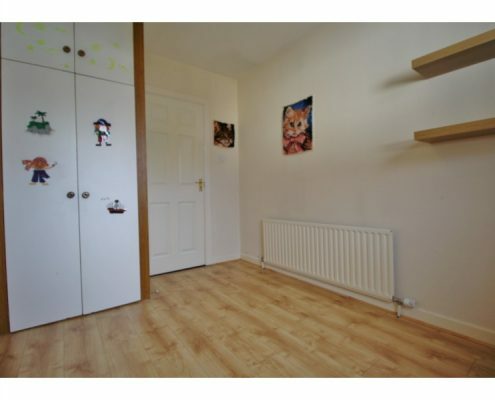 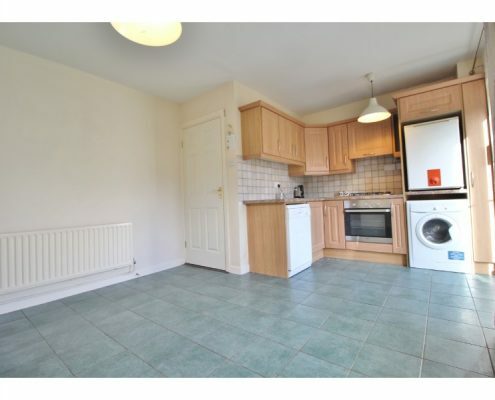 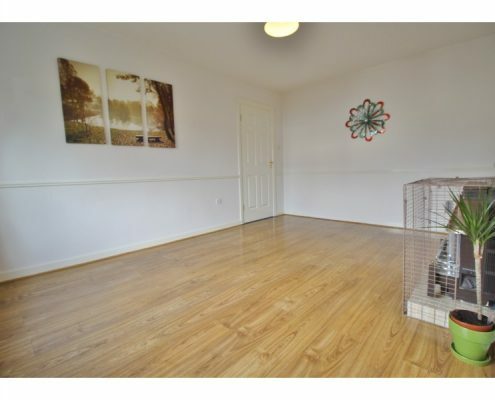 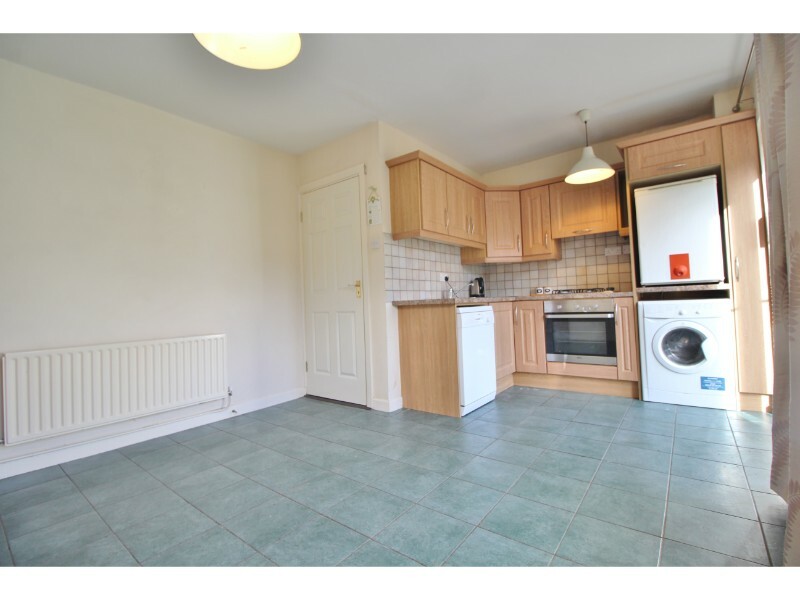 To fully realise the potential of this superb property viewings come highly recommended. 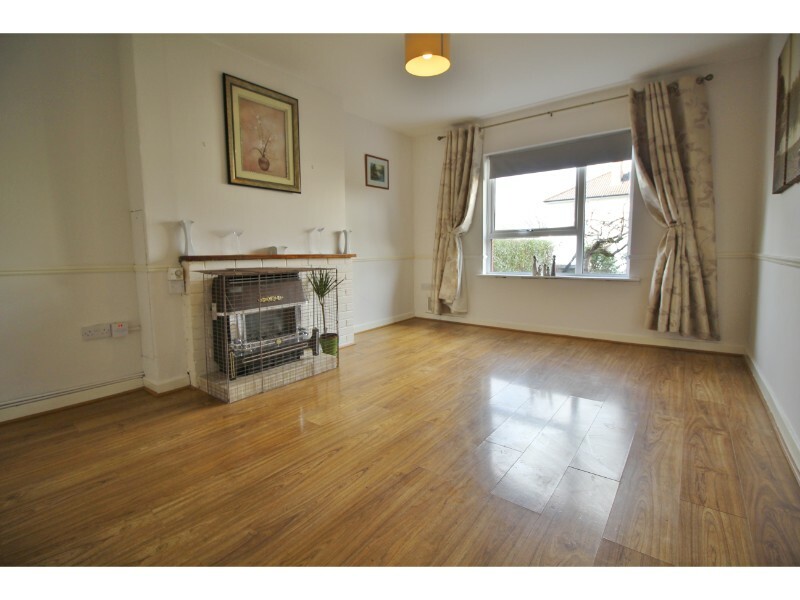 Sitting room: 4.67m x 3.40m with double glazed windows to front aspect, laminate flooring, feature fireplace with brick surround, tiled hearth-stone and wood mantle and inset coal-effect gas fire. 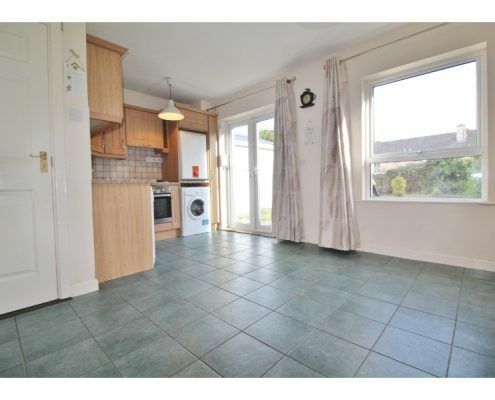 Kitchen/diner: 4.74m x 3.60m with double glazed French doors to rear aspect and garden, double glazed windows to rear aspect, ceramic tiled flooring, a range of eye and base level kitchen units with roll-top work surfaces and tiled splash-backs, integrated oven, hob and extractor, washing machine with plumbing, dishwasher with plumbing, space for fridge/freezer and stainless steel sink & drainer. 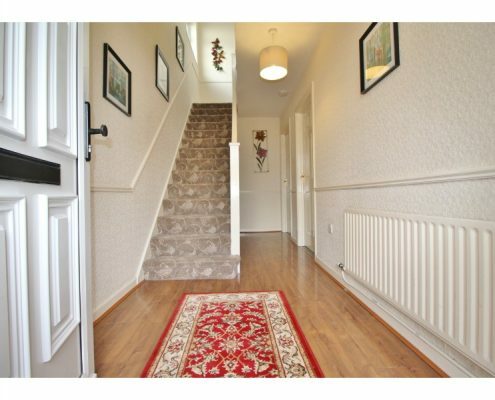 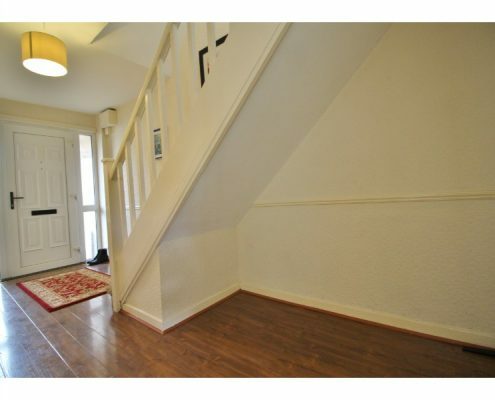 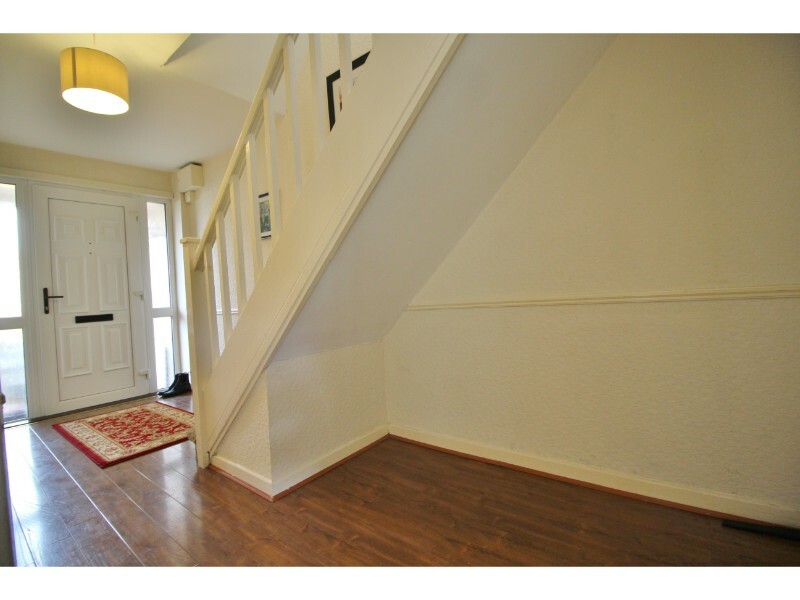 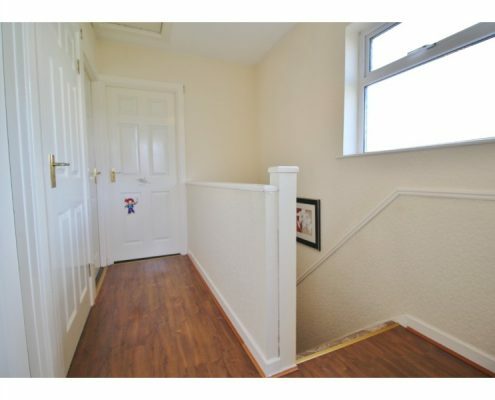 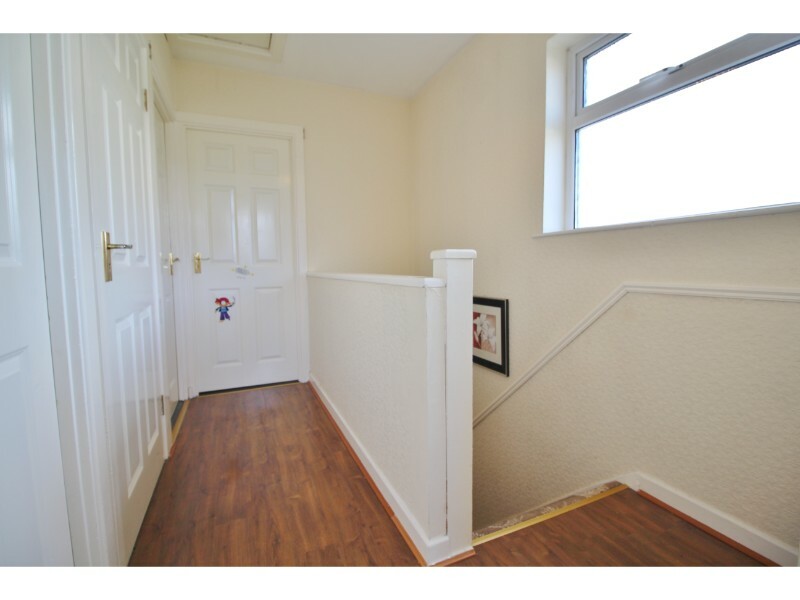 Hallway: 5.63m x 1.83m Covered porch with courtesy lighting, UPVC front door with double glazed, obscure glass side windows, laminate flooring and stairs to first floor. 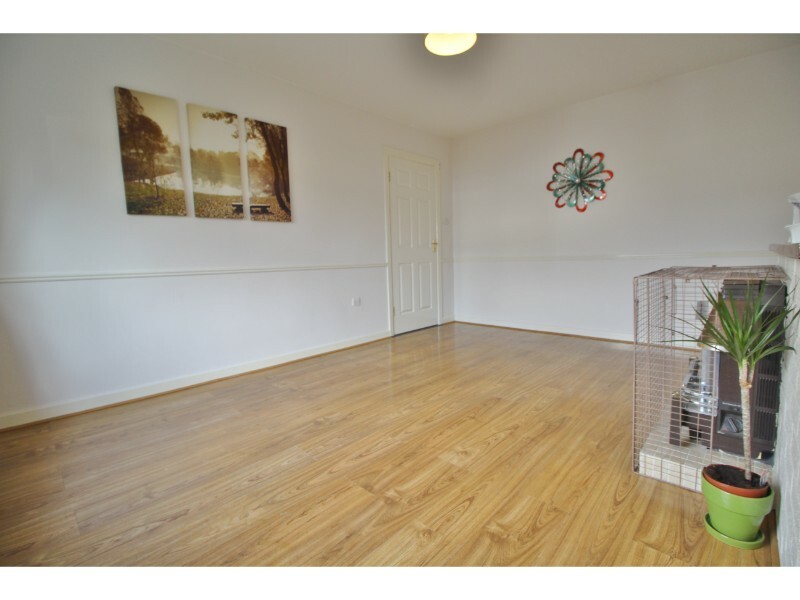 Landing: 2.97m x 1.87m with double glazed obscure glass windows to side aspect, hot press and loft access hatch. 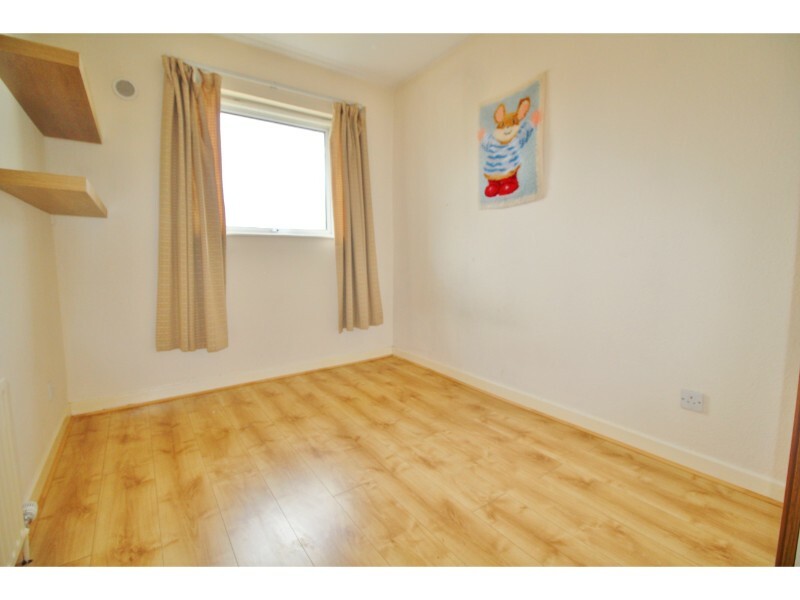 Bedroom 1: 4.91m x 2.87m with double glazed windows to front aspect, laminate flooring and a range of fitted wardrobes and storage. 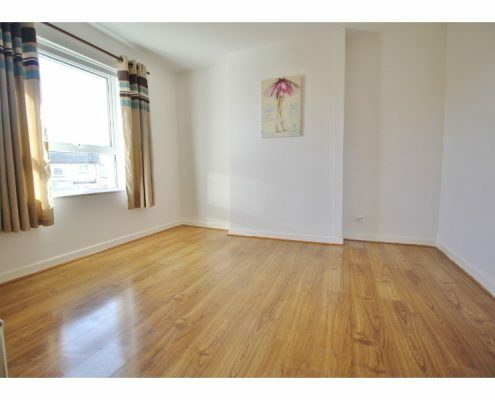 Bedroom 2: 3.53m x 3.39m with double glazed windows to rear aspect and laminate flooring. 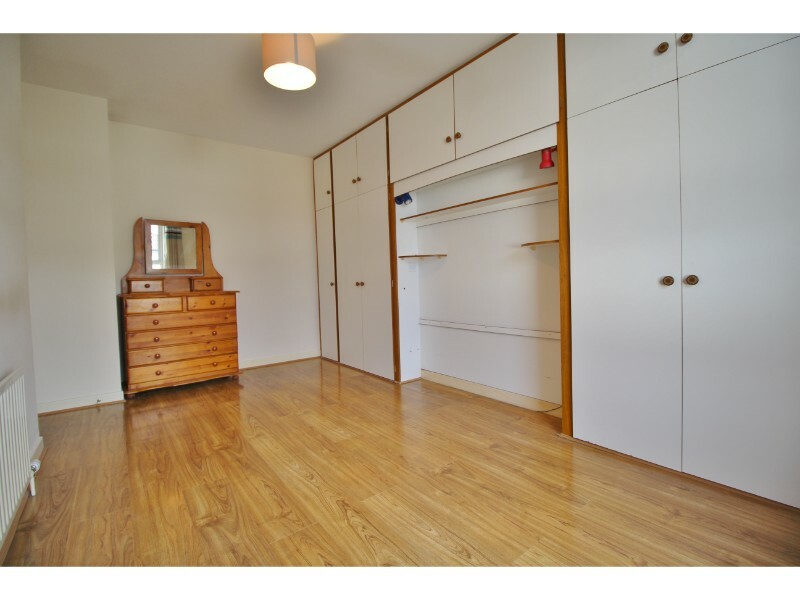 Bedroom 3: 3.32m x 2.26m with double glazed windows to front aspect, laminate flooring and fitted wardrobes. 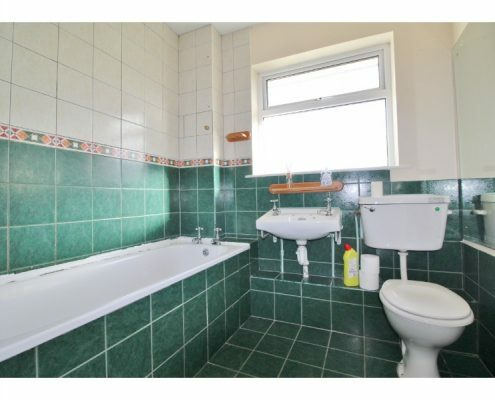 Bathroom: 2.08m x 1.87m with double glazed, obscure glass windows to rear aspect, ceramic tiled flooring, fully tiled walls, bath with Triton electric shower over, hand basin and W.C.
Garden: Huge, south-facing rear garden mainly laid to lawn with mature trees and shrubs, flower beds and mature hedgerow borders, paved patio area, large shed with power and light and side access to front driveway. 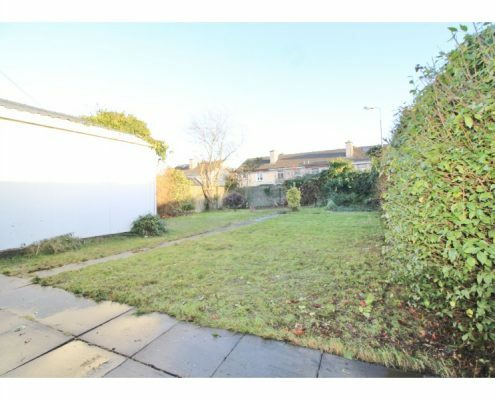 Front: Laid to lawn with off-street driveway parking.